Dine (“The People”). 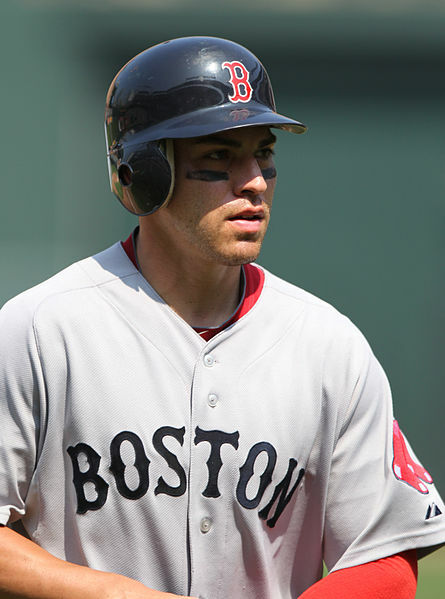 Baseball center fielder Jacoby Ellsbury is the first Native American of Navajo descent to reach the Major Leagues. The Native American – Arizona – Navajo population data represent DNA samples from 93 Native American (Native Americans in the United States) individuals in the state of Arizona’s Navajo Nation tribal lands. Samples were provided by the Arizona Department of Public Safety. The Navajo were among several American Indian tribespeople during World War II who became known as Code Talkers (movie Windtalkers). Photo: Jacoby Ellsbury at Red Sox at Orioles game, July 20, 2011. Keith Allison from Owings Mills, USA.